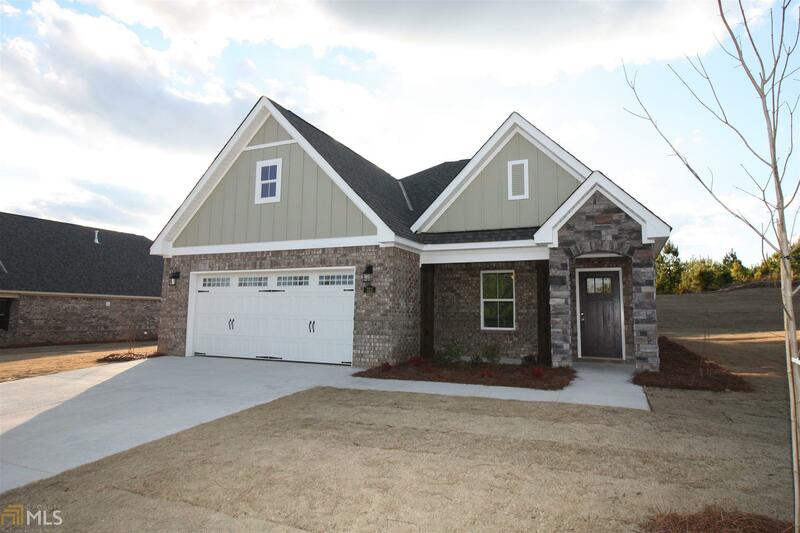 The "Lenox E" is a 4-sided brick one story open floor plan with ample possibilities. This 4 bedroom, 2 bathroom home features a roomy living area with hardwood flooring throughout and vaulted ceiling, open kitchen with granite countertops, SS appliances, expanded pantry oversized center island, and adjoining dining room. The master quarters provides a large bedroom and walk-in closet as well as a luxurious bath complete with a double granite vanity, garden/soaking tub, and tiled shower with glass door. This layout is truly a MUST SEE! Bryant Lake Subdivision amenities include community clubhouse, two lighted tennis courts, Olympic-sized pool, and community access to lake. Home under construction.